Indulging myself in delicious food, I realized, is one of the things I can never truly give up on. Ever. I learned that through years and years of "dieting" and some attempts at a healthier lifestyle (also, I mostly blog about food so IDK why I even bothered). I could safely say that last year was the most success I've had in years because I actually enrolled in a gym and changed my eating habits! I think I can say that I have tried it all: slimming pills, crash diets, the works! But I guess I'm one who can't let go of good grub. I can't imagine myself not eating carbs for the rest of my existence. There's got to be more to life than this! 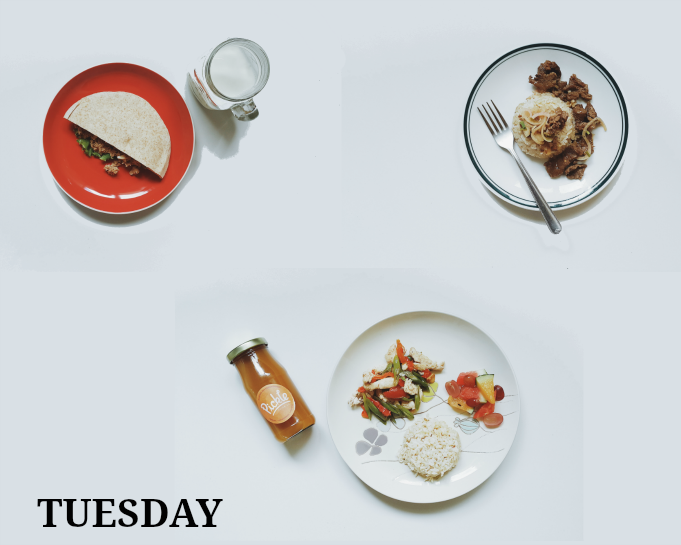 I've heard about calorie-controlled meals because it made quite a buzz the past year. I've also had colleagues try it which had significant results. As much as it had intrigued me, I never tried it because I had this notion in mind that diets always equated to bland food. 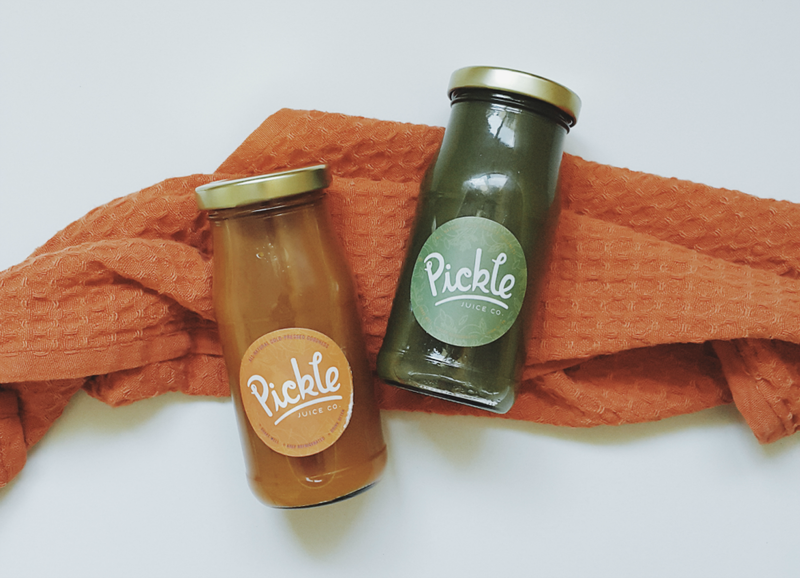 I was proven wrong when I tried Pickle Food Co for an entire week. I had my meals delivered at work since I work nights. They arrive in this manner, each in microwavable containers with little bright stickers as labels (complete with motivational phrases!) and instructions if the food needed to be heated or best eaten cold. First day with this program, I'm already loving it, though to be honest, the controlled portions were hard to get used to. But on a positive note, I never knew I had a wide variety of food I could still eat while still losing weight! Some of the recipes were so innovative (first time trying out a fruit sushi)! I love that everything appeared to be so well thought of. 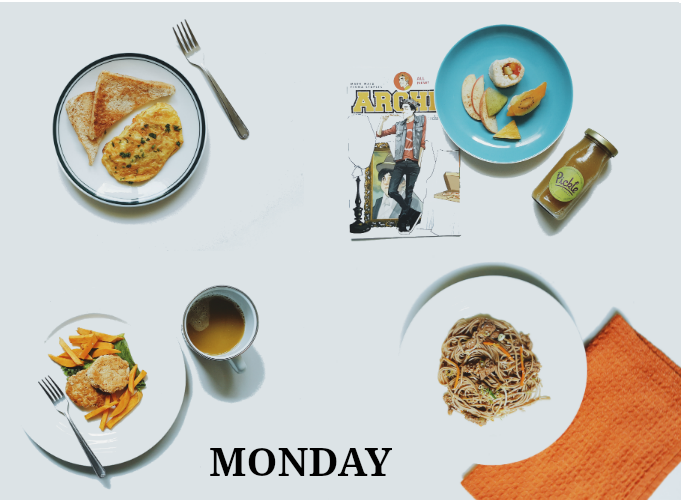 The Grilled Spiced Chicken patties were super yummy and Monday's cold-pressed juice cleverly named Tonic Youth was my favorite drink out of the entire week's choices! I think my main challenge was eating everything in time. I usually eat whenever I feel hungry and since it was a busy time at work, I spend long hours at my desk, sometimes even forgetting to eat. At one point, all my meals were untouched and I had to eat it before sleeping. Hahaha! I began to appreciate the comfort because I get to enjoy these meals sans the preparation. I live alone in the city on weekdays and I can't remember the last time I had great Beef Steak Tagalog. First thing I noticed was the s'more! I sure was excited to have that when my Thursday meals arrived. (No photo of my Wednesday meal because I got too busy and tired that day, I had no time to take a photo of it. My favorite was the Angel Hair Pasta with Creamy Tomato Basil Sauce and the juice, Right as Rain, which was a combo of cucumber, orange and mint. Really, really good.) Thursday's Baked White Fish with Potato Gratin was a great meal to cap off my stressful day. I was getting the hang of it! 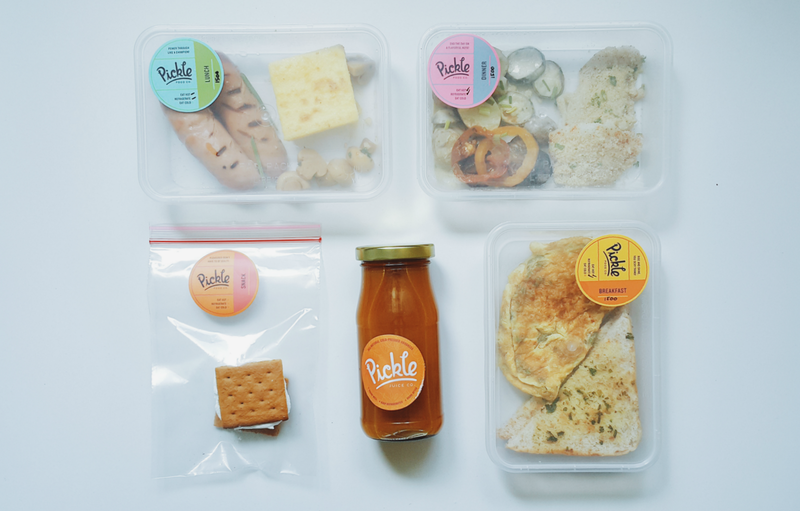 There's actually a meal plan that Pickle posts on their website and Instagram account, but I preferred not to look just so I get to be surprised everyday! 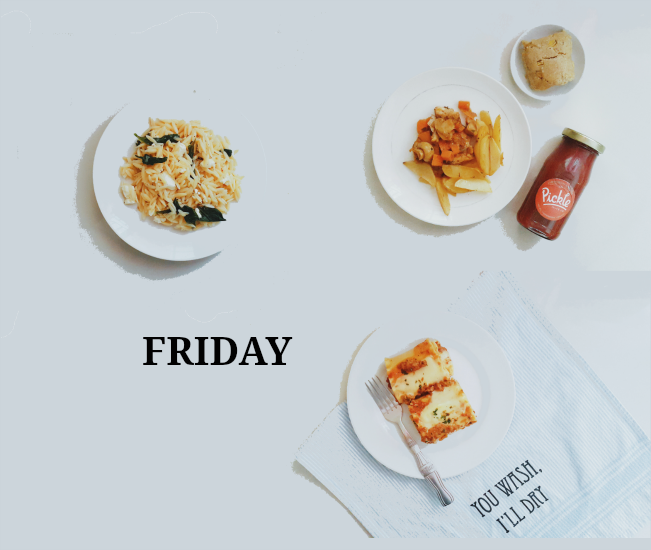 Friday's meals, I think, were my cream of the crop. That Orzo Spinach Salad with Feta was so gooood, I think I gobbled the entire serving in less than 10 minutes. Hahaha. I need the recipe! The Hunter Style Chicken, I ended up sharing with my brother because it looks super appetizing, he just had to dig in. The beet cold-pressed juice was my least favorite though. I tried but I just can't. I'm the worst when it comes to diets because I can never fully commit to it, but trying out Pickle's offerings made me realize that I need not succumb to no-rice diets or boring, tasteless recipes. The surprise of flavors in each meal can make me give up on cheeseburgers and shift to this kind of eating habit, there's no deprived feeling whatsoever. 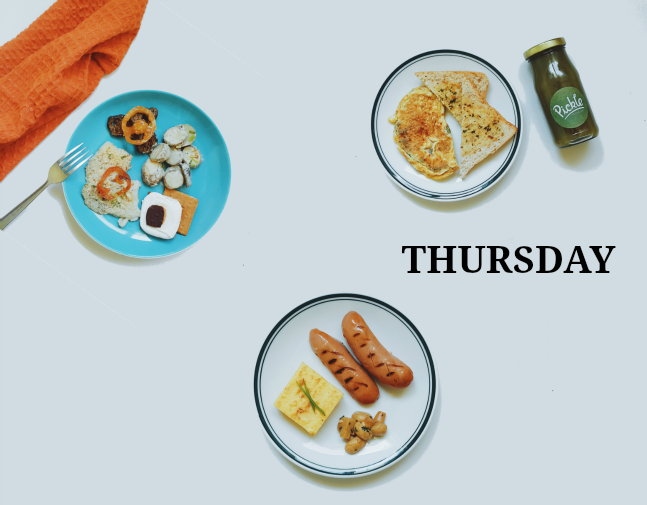 Of course, there's no big changes yet considering this is a 5-day trial but the good thing is that being under this meal plan for a week made me feel good about myself, plus I didn't gain weight! Karen and the entire Pickle team were very accommodating to my last minute changes and requests and would inform you beforehand if the delivery would be delayed. 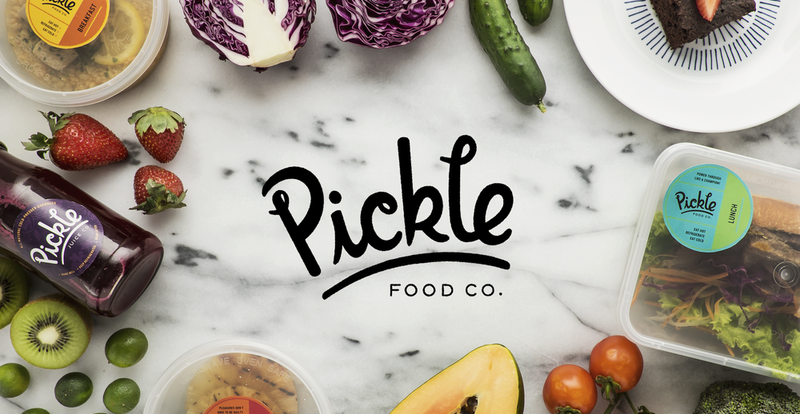 For more information about Pickle Food Co., please visit their website. You may also get in touch with them through their Facebook page or by calling/texting this number: 0998 975 7255.